If you enjoy using fresh herbs in the kitchen, you have probably considered starting an indoor herb garden at some point. If so, you’ll be happy to know that it’s less work than you might think! With a little know-how and some simple materials, you’ll be well on your way to having your favorite herbs close at hand. 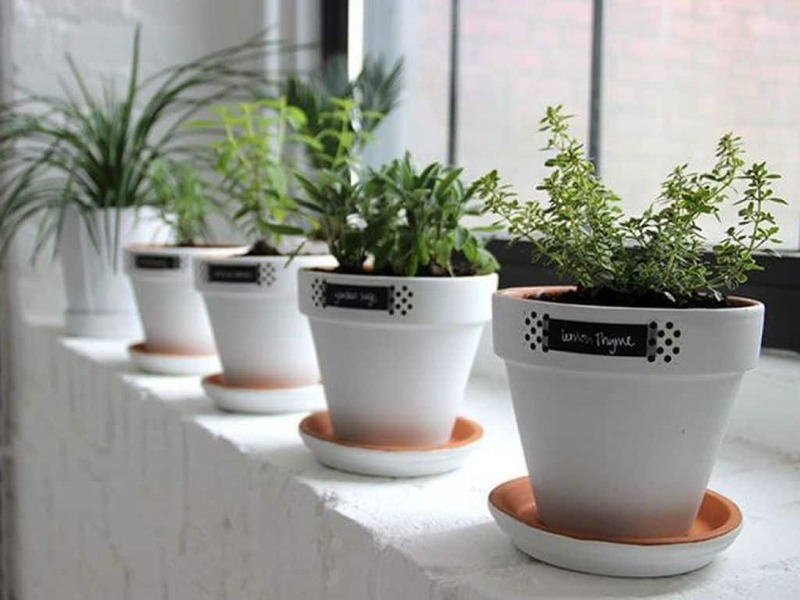 Read on for a simple step-by-step guide to starting an indoor herb garden of your own. 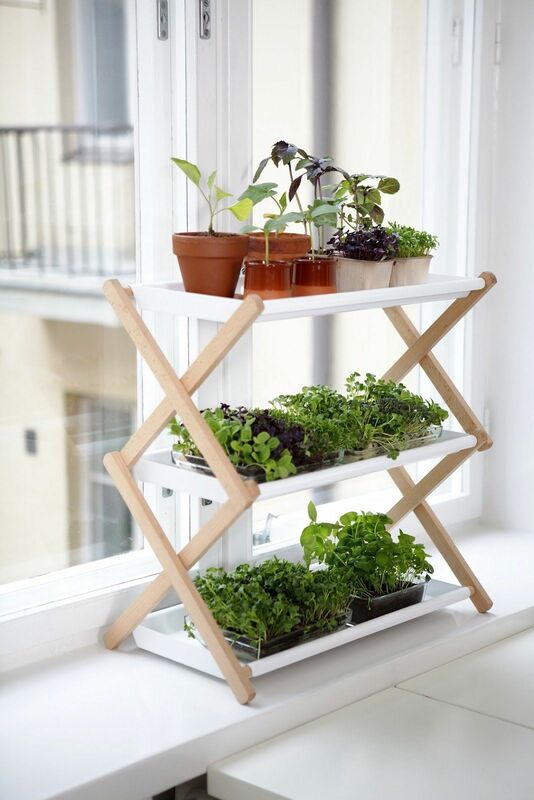 The first consideration should be where exactly in your home you’ll want to set up your herb garden. Pick an area of your home that gets plenty of sunlight, and has good ventilation. Window sills and ledges are always great options, but if none are available, consider putting a small shelving unit near a large window. If there are not any areas in your home that get at least 6 hours of sunlight per day, you may need to invest in an artificial light source. When it comes to choosing herb planting pots, there are a few different things to consider. Drainage: Make sure that your pots have holes in the bottom, with a saucer beneath each pot to collect excess water. Having more than one drainage hole is always a good idea, but the holes shouldn’t be so wide that the water runs straight through the pot without giving the soil a chance to soak it up. Size: You will want to keep each variety of herb planted in it’s own separate pot in order to maximize growing potential. The deeper the better is often true with herb pots, as the extra length encourages root growth. 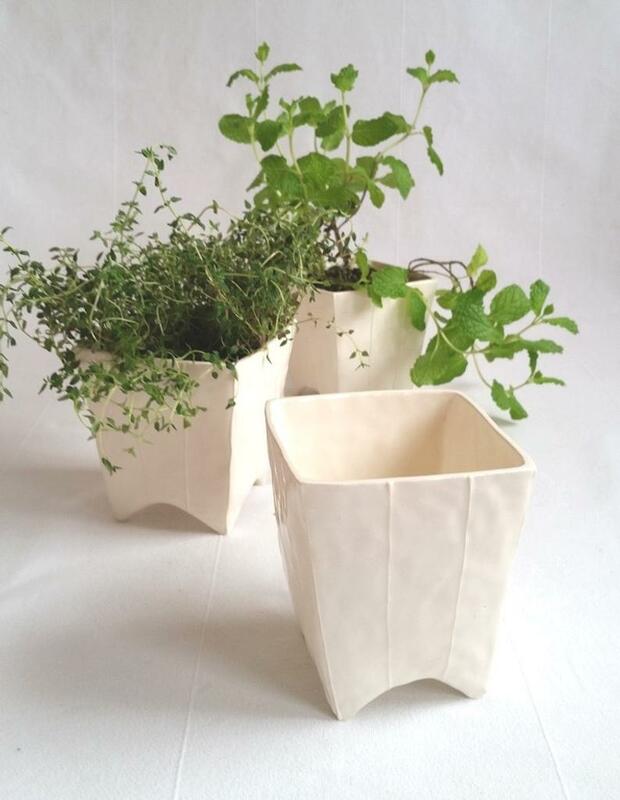 Material: Planters can be made out of metal, plastic, glass, and many other materials. We recommend glazed ceramic or terracotta pots for herb gardens. They are a great blend of style and functionality. 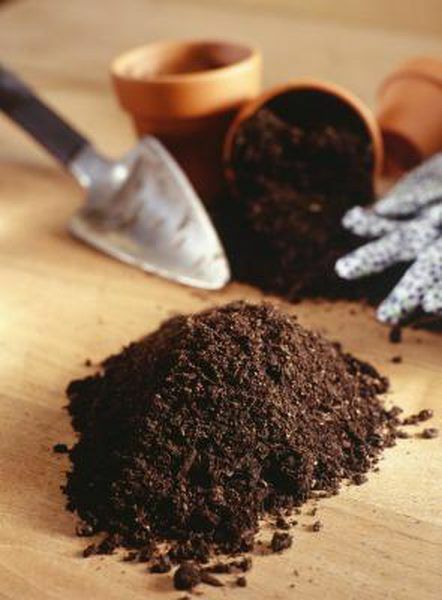 When it comes to potting soil for herbs, it is best to start with a high quality potting soil that provides excellent drainage. A small amount of seaweed or fish-based fertilizer can be mixed in, but must be used sparingly. Too much fertilizer will result in bigger plants, but less of the essential oils that give herbs their flavor. When choosing which herbs you want to grow, start with the herbs you love and use often in the kitchen. If you use one particular herb more than others, plant more of it! Whenever possible, select the “dwarf” varieties of herbs, as they are inclined to thrive under indoor conditions and in small containers. When watering your herbs, use a slow steady stream of water to give the soil a chance to absorb the water before it passes through the pot. Only water the soil around the plant, not the leaves themselves. Herbs typically need to be watered only when the soil feels dry. This could mean watering once a week during the winter months, and daily in the summertime. When harvesting your herbs for use in cooking, always start at the top of the plant. 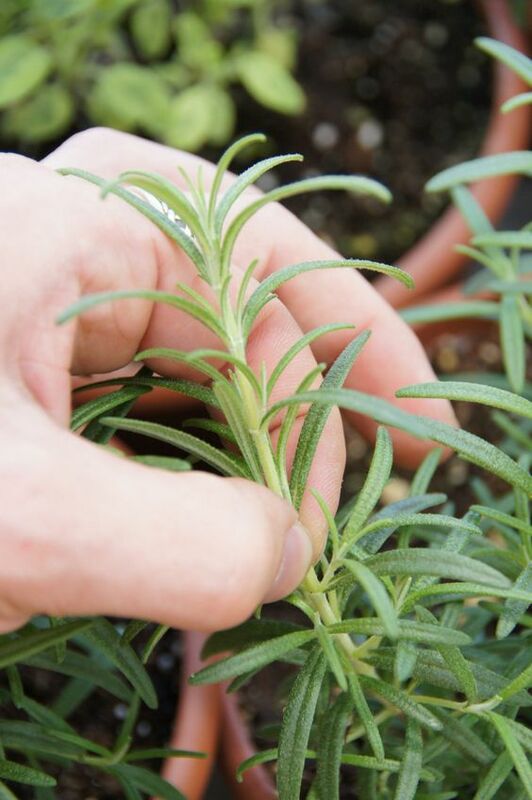 Cleanly pinch or snip the stems, and avoid ripping or tearing as this can seriously harm the plant. Be sure to never harvest more the 1/3rd of the total foliage at one time! Ready to Build the Kitchen of Your Dreams? At Straight Line Design & Remodeling, we have been remodeling homes to meet the needs of families in the Portland metro area for over a decade. That means that we have the experience and know-how to bring your project to life while staying on schedule and on budget. Take a look at our portfolio to see some of our recent work. Posted in: Remodel Tips | Tags: .